OK guys, I did it. I completely lost my mind and went whole hog and invested in the King Quilter 18″ Special Edition long arm quilting machine with a 10″ Android tablet, the Grace GQ Frame, and the Quilt Butler robotics. The whole mess was on sale and came with free Luminess lighting to go over the frame. I say “invested” because I could buy a new car for what I paid for this thing. Hubs said, “Are you going to get another job to pay for this?” I said, “This IS the other job!” We’re still not finished with the install because the wrong carriage hardware was sent. The new will be here next week sometime. This is about 5 hours of labor here and it took 45 minutes just to unpack the frame. It’s 10 feet long and in this image it’s still not finished. “So what is that thing?” I’ve had so many non-quilters ask me that. In layman’s terms, this is the frame and machine that sandwiches together a quilt top, the fluffy batting in the middle, and the backing together into a one-piece blanket with fancy stitching designs. The robotics will do the sewing for me automatically – I simply tell it where the four corners are, choose a design, and press Go. When it’s finished, I manually roll the quilt forward to the next blank space and repeat until the quilt is finished. I should be able to finish a quilt in a day. 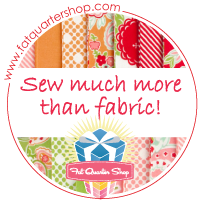 And believe me, with the recent explosion in home quilting, there’s a ton of work out there. I have 5-6 quilt tops myself that need finished and it would cost me anywhere between $150 and $300 each to send them out to have them quilted. The nearest quilt shop has 30+ quilts in the queue and it’s 25 miles away. There’s a demand for this and I’m here now to support it. In 2011 when my first grandchild arrived, I began quilting in earnest. I modified a rarely used guest bedroom into my sewing room and designated the RV as our guest house. As my power tool arsenal expanded, I moved my 18″ sit down quilt machine into the game room. I tried to get hubs to allow me to take over the game room completely (the pool table was perfect for cutting out fabric), but he wasn’t having it. Then HE started making custom fishing rods and took over the pool table in the game room himself. Our hobbies (and my future retirement home business) had us bursting at the seams. The thread on that stand is not for sewing, it’s to wrap guides onto fishing poles. This is his mess, not mine. There’s a pool table under there somewhere. Then it hit me. Why not retrofit the back patio into a quilting studio, hubs can have my old sewing room for his fishing poles, and we can get our game room back? WIN!! The next stop was to Lowe’s to order custom windows and real storm doors for the Sweat Shop. They will be here Dec 14th. In consideration for the dogs, the new doors have doggie doors in them. This also allows me another exterior entrance into the Sweat Shop for customers to drop off quilt tops. I love that. I will strategically place floor pillows for the dogs away from the quilting area – I’m obsessed about not having dog fur everywhere. We also are going to duct air conditioning & heat into the room. The sun screens will be taken down with the new windows so the light into the room will be much brighter too. I’m so sick of the dark, but in a very hot South Texas you have to sacrifice light to save on the electric bill which was usually upwards of $400 a month in the summer. Hopefully, the new AC we installed this year will help with that too. I need help with decorating ideas for shelving and fabric storage for the Sweat Shop. I don’t want to block the light from the windows with big cabinets and I have very limited wall space because of the brick. We’re not opposed to mounting things on the brick, but I want to maintain the brick look. Possibly paint it a brighter color? Hmmm. The TV is staying. I don’t want it to look half-assed thrown together, but instead a happy professional looking studio where quilters want to be. Any suggestions are appreciated.